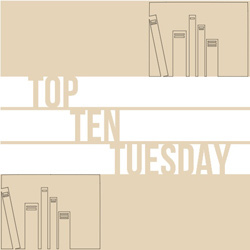 Top Ten Tuesday is a weekly feature hosted by The Broke and The Bookish. Every week they post a new topic/top ten list and invite everyone to share their own answers. At the bottom of this list I have included information about my first book giveaway. Book piles – All around my house I have little piles of books. I start reading some or pull a few I plan to read and then they end up left at that spot in a pile. Reading all that I have purchased/Too Many book hauls – Growing up, I used the library most of the time and as I began making my own money, I started buying more than one book at a time. It’s not like the books are going to sell out but let’s face it, a box delivered to my doorstep full of books is the happiest time ever for me. But I read entirely too slow for my book buying habits. Stingy with sharing – I hate to admit it but I am one of those people who doesn’t like to lend out books. I like to think I am nice and that I like sharing. But I fear that my book won’t come back to me in the condition they are lent out or that I will have to manage the return of my book. So I rarely lend out my books. Nightstand tower – I can’t help it but I always have a “tower” of books on my nightstand. Sometimes, ridiculously high and close to toppling over. Many I “intend” on reading and only a few that I actually might be reading. In contrast to my neat husband that has only one book at a time on his nightstand, I am a mess. It’s something about having my books close to me, that is a comfort before I go to bed. I know that doesn’t make sense. Don’t judge. Cover Love – I am so guilty of falling in love with a cover and buying it based more on it’s beauty than it’s content. What? I know, what am I thinking? But let’s face it, the covers of books help sell them. They catch your eye and then you read the back. I also have started collecting Susanna Kearsley books because not only the covers are amazing, but the spines match and are so lovely. I can imagine them all on my shelf one day. Hard to say goodbye – Purging old books by donating them is difficult for me even after I have read the book and know I will not be reading it again. Goodwill Binging – I love going to used bookstores and finding new and old books at great prices. The problem is it is a total binge. I buy way too many. I justify the low prices into reason to buy many. Guilty reading – Sometimes there are books that “everyone” says you absolutely have to read. Somehow I convince myself they are right and sometimes I even go as far as buying the book only to find I never read them or I do and don’t care for them at all. The beauty of reading is the variety and I am also feeling more and more comfortable with my choices. I enjoy pleasure reads that I don’t learn anything, I just go for the ride. I also enjoy books that I learn while I go for the ride, particularly historical fictions and non-fictions. But I don’t and won’t just read one genre of books. I want the variety and know I don’t have to answer to anyone. That’s my list. What’s your book related problems? I also wanted to share with you an opportunity to win a book on my first book giveaway. 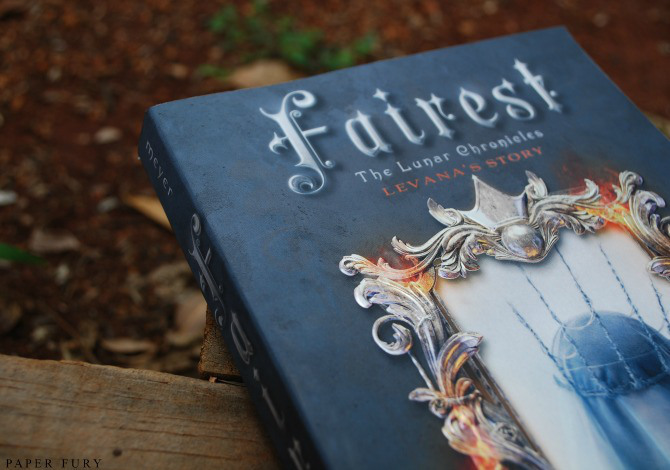 I pre-ordered the latest book from Marissa Meyer, called “Fairest” which is a more in-depth look at Queen Levana from the Lunar Chronicles. I have an extra copy to give away to a lucky winner. I have to limit this to the US only since mailing elsewhere will be a bit too much. So if you would like a chance to win, leave a comment below and let me know who your two favorite characters is in The Lunar Chronicles (Cinder, Scarlet, or Cress)? I will put all the entries in a bowl and let my son pick a random name out. On Tuesday, February 24th I will announce a winner and then we can exchange mailing info so I can mail you this beautiful book. I have piles of books all around my home as well!! Nearly everywhere I look there are books. Used bookstores are sooo addicting!! Before we moved , we had this awesome FOL Used Bookstore that I’d visit at least once a week and always come come with massive amounts of books… Hardback were $2 each, paperbacks and books on CD were a dollar each and once a month they’d have a book sale where certain items were 50% off!! So, I’d bring home loads of books. I have yet to read Cinder but it’s my next book to read after the series I’m reading now. You got me hooked on this series! I just requested Fairest from the library, it will probably take a while, but, it’s free AND I don’t have books sitting around. Although, I do pass them on when I buy them, so that’s good too. 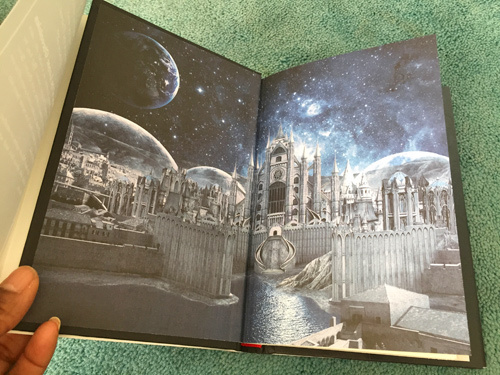 I am still reading book 3, Cress, honestly I can’t pick a favorite, but, I do love to hate Lavana! This series was a welcome surprise for me too. Yes Levana was just wicked. So it should be interesting to find out her story.